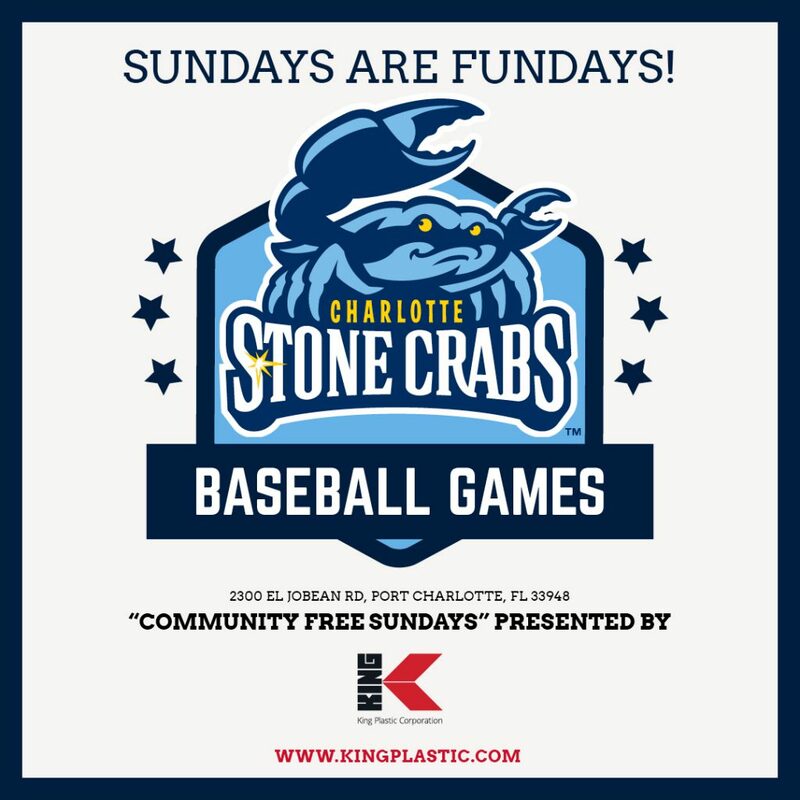 Community Free Sundays with FREE admission and FREE parking at Charlotte Sports Park! 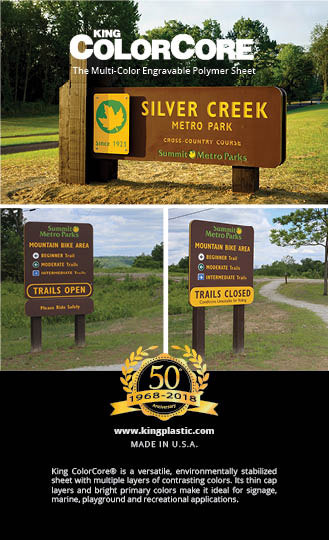 Presented by King Plastic Corporation! 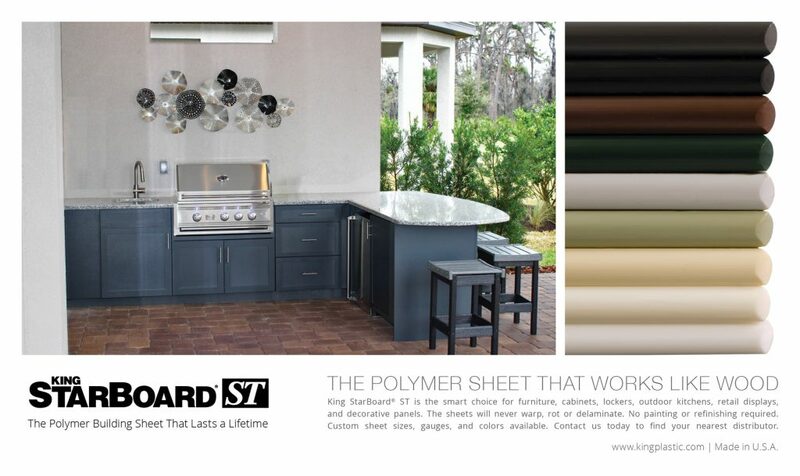 King StarBoard® ST is the smart choice for furniture, cabinets, lockers, outdoor kitchens, retail displays, and decorative panels. The sheets will never warp, rot or delaminate. No painting or refinishing required. 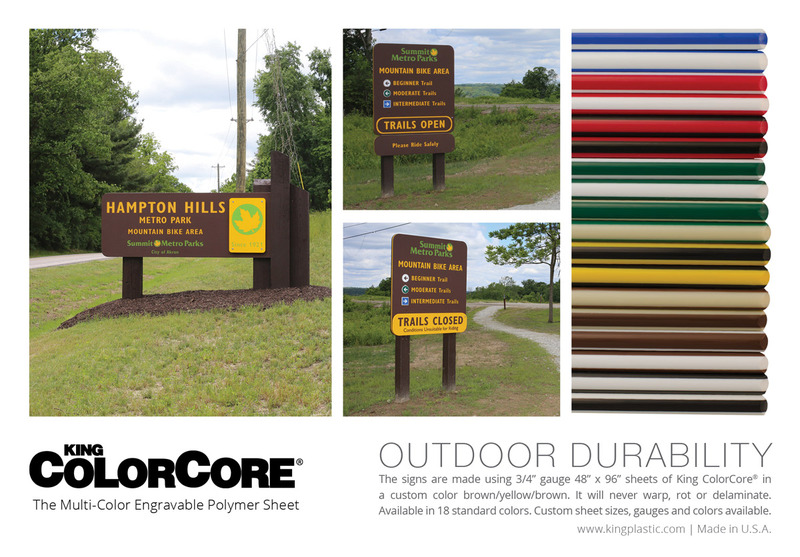 Custom sheet sizes, gauges, and colors available. 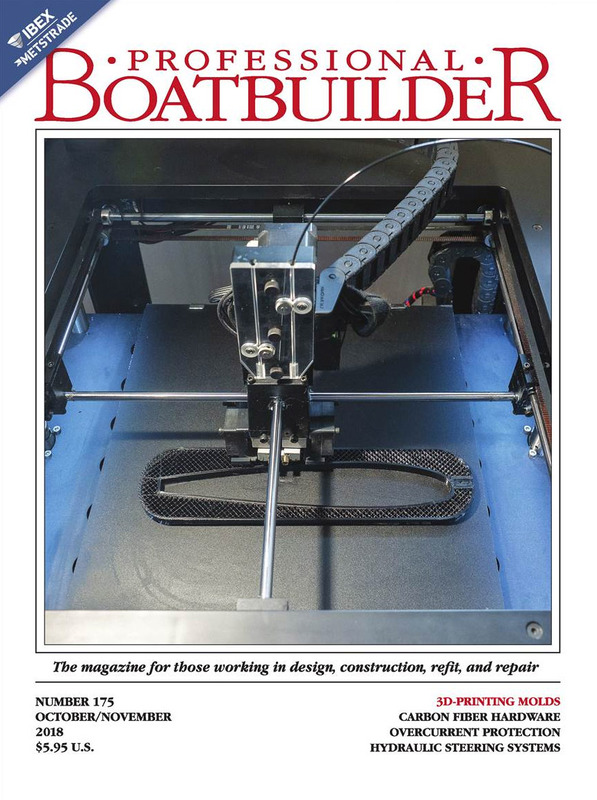 Read the King StarBoard® article by Dan Spurr, Sep 29, 2018 in the October/November 2018 edition of Professional BoatBuilder Magazine on page 16-17 or view online now. 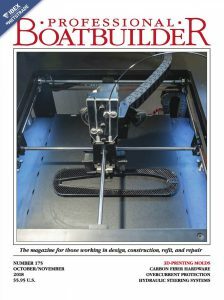 As Seen In Packaging World Magazine! 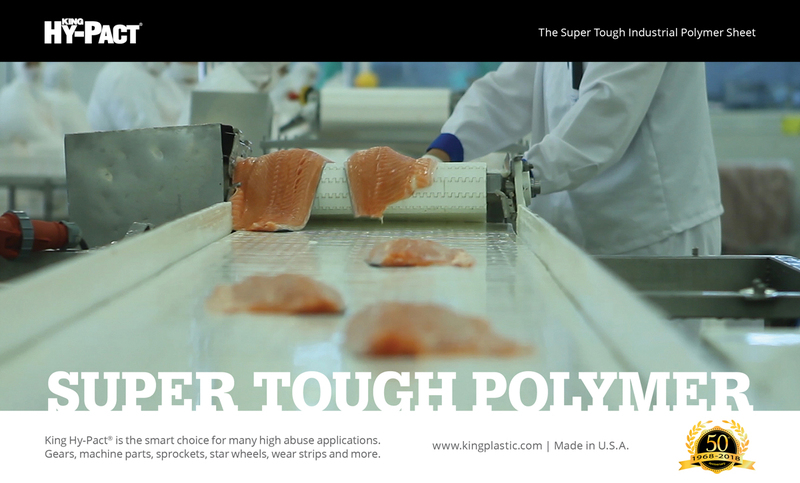 King Hy-Pact® is the super tough industrial polymer sheet that helps the food processing and packaging industry see improved efficiency and performance. Machine parts operate clean without contamination, lubricants, rust or corrosion. The material is easy to clean and resistant to harsh chemicals. 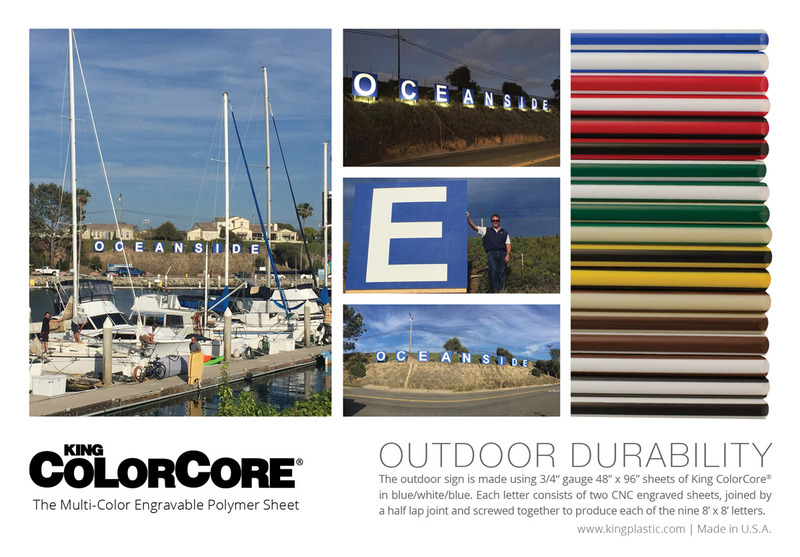 Tests have shown after 2,000 hours of UV exposure, King Hy-Pact® outperforms both UV stabilized HDPE and UHMW with superior toughness in wear resistance, flexibility and high-impact strength. It has a clean white color with a smooth, non-skived finish for better material flow. 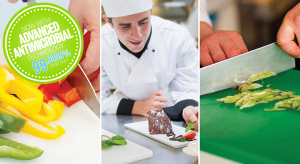 Food Processing and Packaging Video Watch Now. 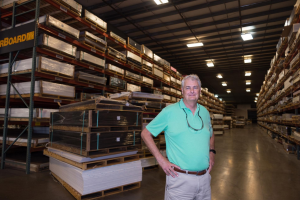 NORTH PORT, FL (Aug 15, 2017) — Sixteen years ago, when King Plastic Corp. moved to North Port from Venice, it was hoped that the consolidation into one 157,200-square-foot facility would enable King workers to double their output. 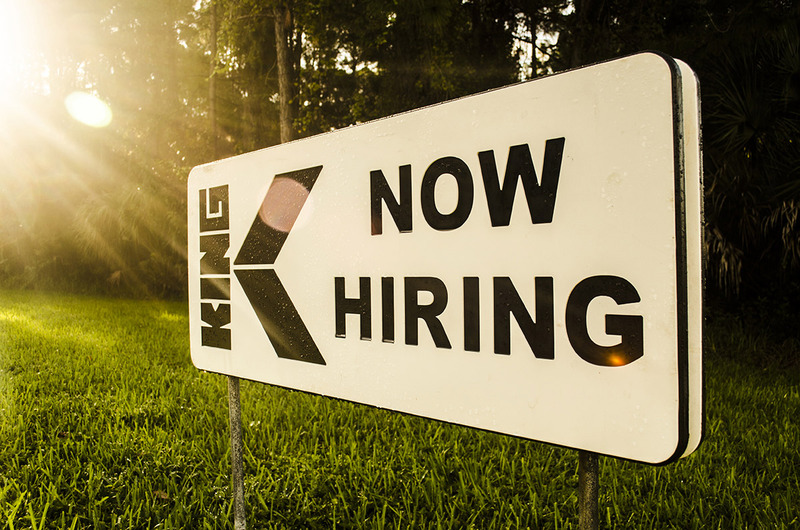 In June, King received approval from the North Port City Commission on a development plan for an 100,800-square-foot expansion. Once complete, that expansion would again allow the largest private manufacturing employer in the city to double its output. 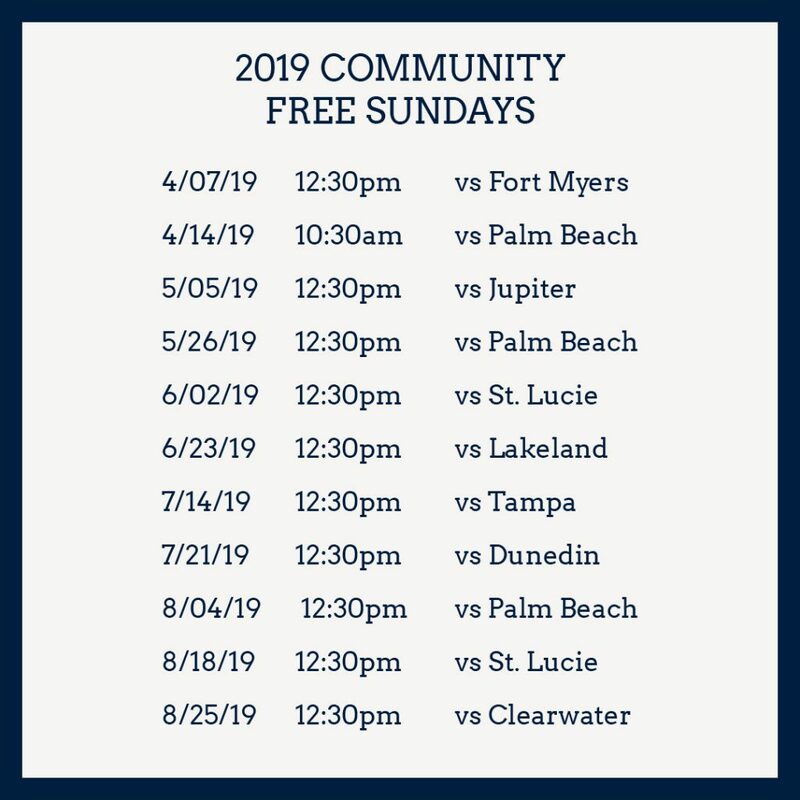 Read the full Herald Tribune article. 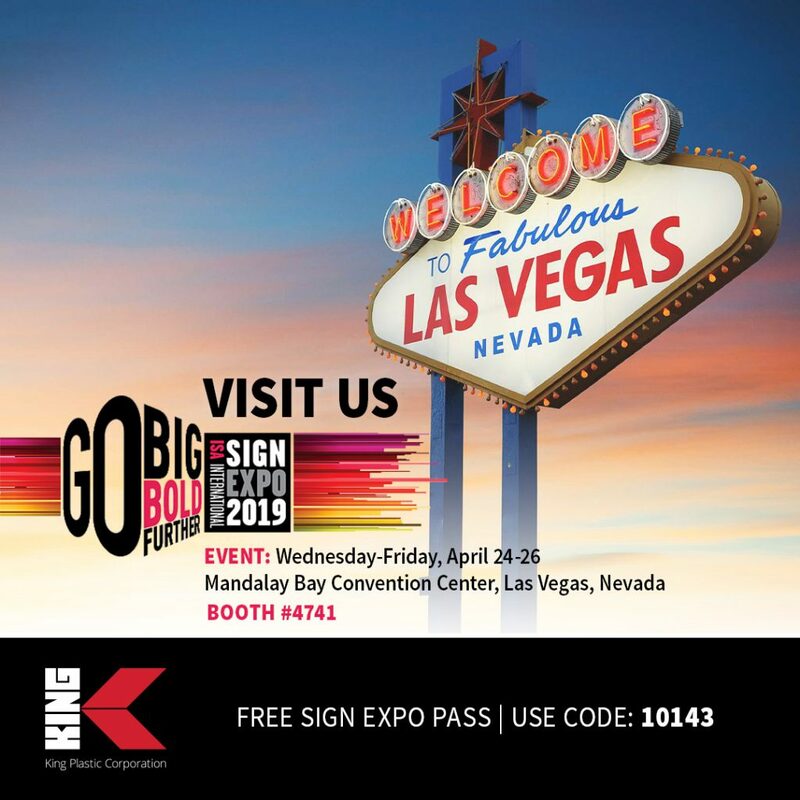 North Port, FL, June 1, 2017 – King Plastic Corporation, a leading manufacturer of polymer sheets, slabs and massive shapes will exhibit in booth #4244 at the Association of Woodworking & Furnishings Suppliers® (AWFS®) Fair® held July 19 – 22, 2017 at the Las Vegas Convention Center in Las Vegas, NV. 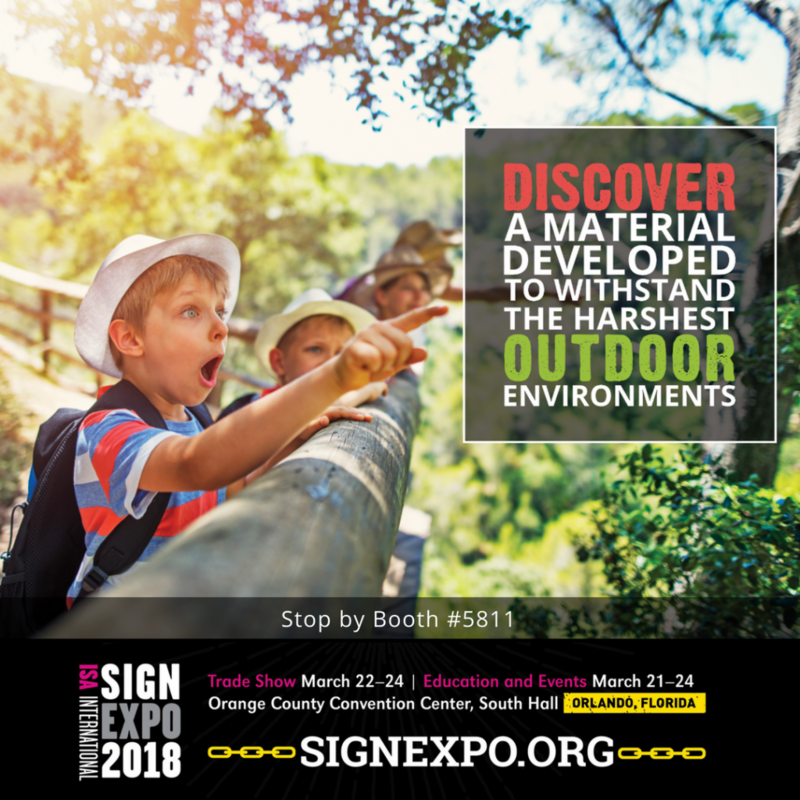 King Plastic will showcase its popular product brands: King StarBoard® ST, King DuraStyle®, King ColorBoard® and King MediGrade®. To register for the AWFS® Fair, visit www.awfsfair.org. 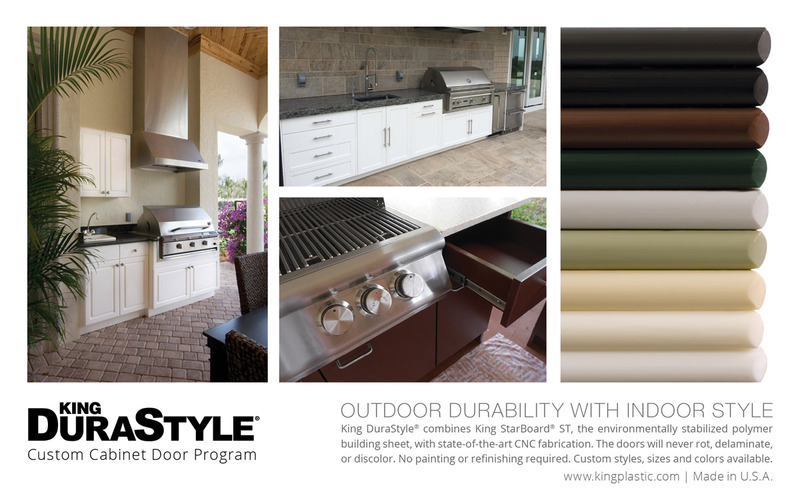 King DuraStyle® Custom Cabinet Door Program combines King StarBoard® ST, the environmentally stabilized polymer building sheet, and state-of-the-art CNC fabrication. King DuraStyle® will never rot, delaminate or discolor. No painting or refinishing required. Custom styles, sizes and colors available. 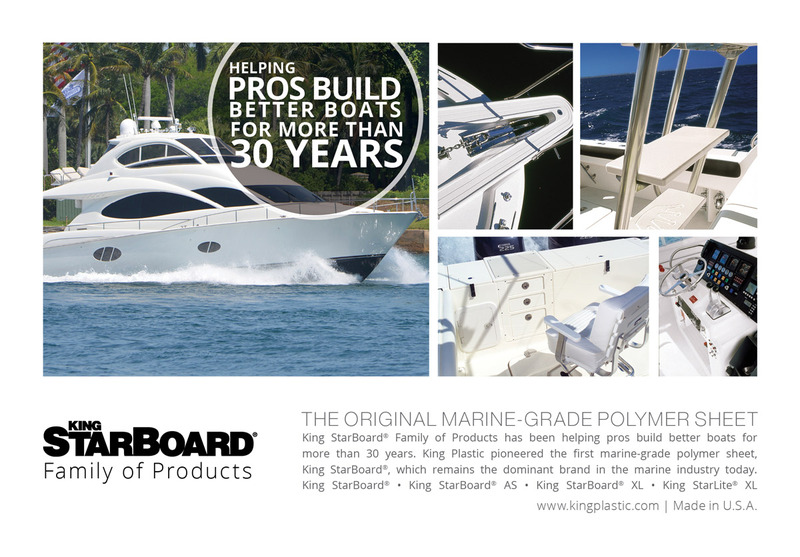 King StarBoard® Family of Products has been helping pros build better boats for more than 30 years. 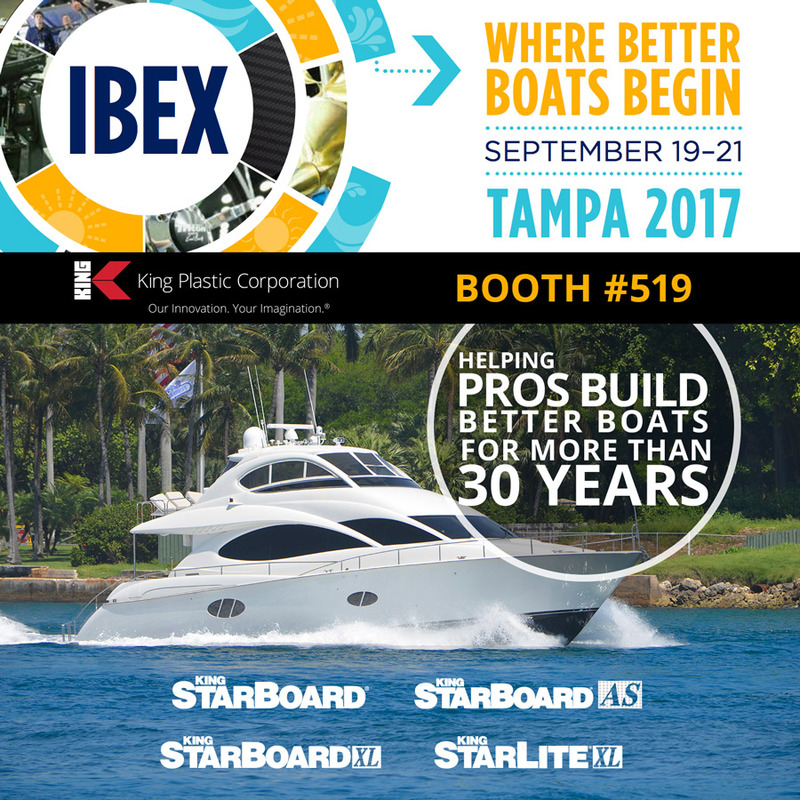 King Plastic pioneered the first marine-grade polymer sheet, King StarBoard®, which remains the dominant brand in the marine industry today. 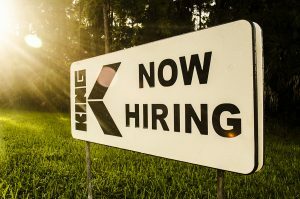 King continues to raise the bar with new products, new production techniques and new standards of excellence. 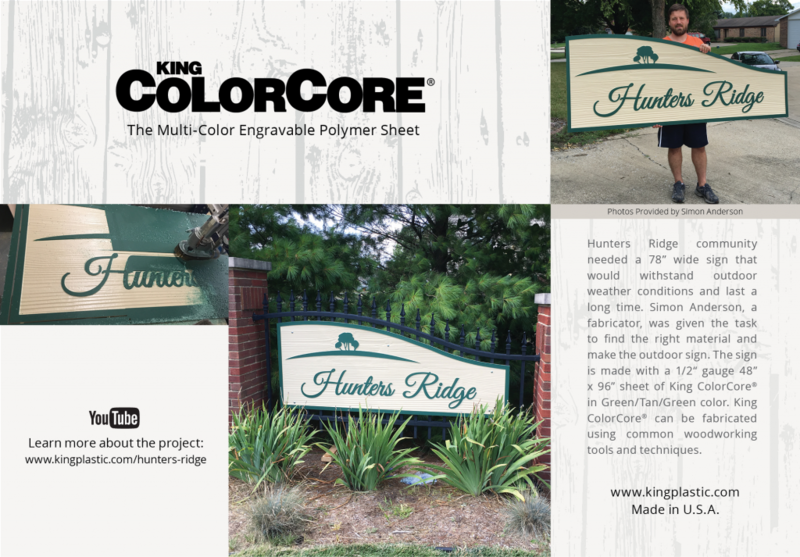 The King brand is synonymous with quality to those who know plastics.